Topped with your own comfortable cushion, an extra storage area becomes a stylish and inviting place to sit. 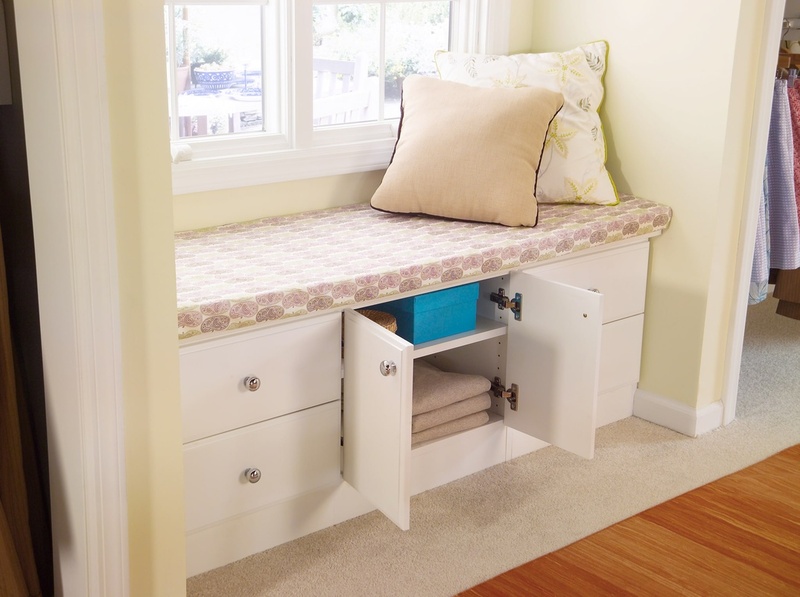 Choose drawers, doors and shelves to customize a bench for your space. Request our free design service, and we'll create one especially for you.